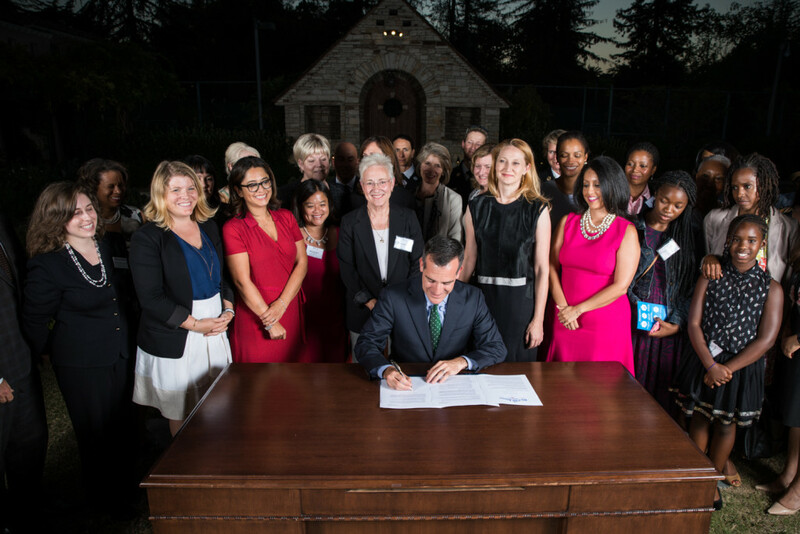 Mayor Eric Garcetti, First Lady Amy Elaine Wakeland, and the Getty House Foundation Board of Directors celebrated Women’s Equality Day by highlighting the strides the Garcetti Administration has made towards gender equity and improving the quality of life for women and girls in Los Angeles. 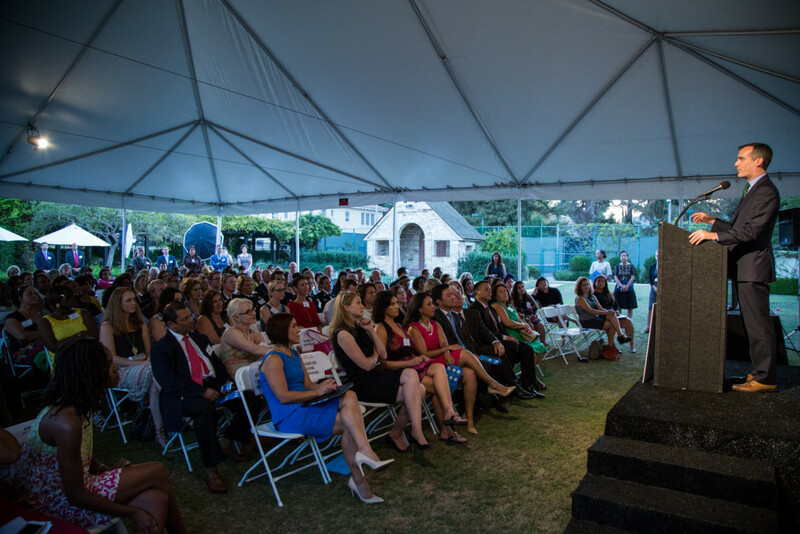 The Mayor and the First Lady announced the completion and release of the Report on the Status of Women and Girls in Los Angeles, which was commissioned by the Los Angeles Commission on the Status of Women and researched by Mount St. Mary’s University. 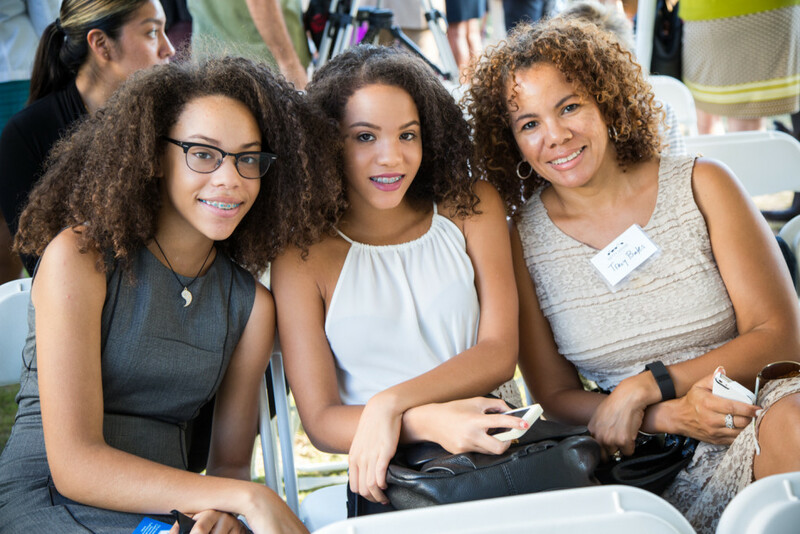 The Report is the first comprehensive study of women and girls that focuses on Los Angeles. The Mayor also signed his Executive Directive No. 11: Gender Equity in City Operations to establish achieving gender equity as a citywide priority. Executive Directive No. 11 creates the Mayor’s Gender Equity Coalition to work with each City Department in developing and implementing a Gender Equity Action Plan to eradicate gender-based disparities.